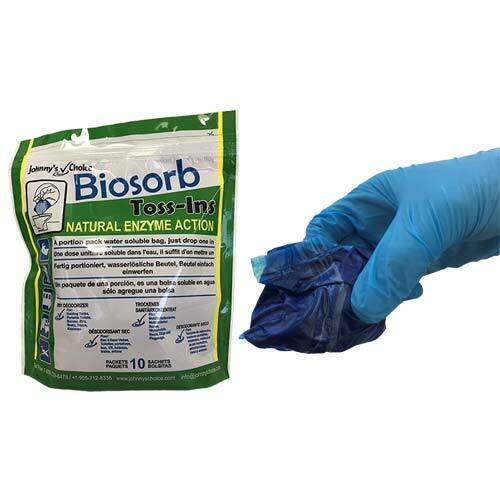 Biosorb Toss-ins for caravan toilets are a dry deodoriser in water soluble portion packs that use bacteria and enzymes for odour control and waste break down. This handy caravan toilet chemical comes in a pack of 10 sachets. Use this caravan toilet chemical by just dropping into your cassette toilet or portable toilet. This product comes in a convenient zip lock bag for easy storage.